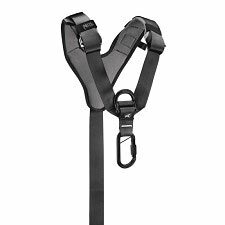 The CHEST’AIR chest harness transforms the FALCON, FALCON MOUNTAIN, AVAO SIT and SEQUOIA SRT seat harnesses into fall arrest harnesses. Connects simply to the harness ventral attachment point for rapid installation. It adapts easily to all body types with its DoubleBack self-locking buckles on the shoulder straps and ventral strap.